The Molina Duo, formed by soprano Marisa Molina and guitarist Carlos Molina, first performed in 1999 at the Conservatoire Britten of Périgueux in France. In 2001, they presented a concert in Miami dedicated to Joaquin Rodrigo’s music for voice and guitar, honoring his 100th birthday. They have also been featured at the international festivals of Vélez-Málaga, Coria, Hondarribia, and Aranda del Duero in Spain, Rome, Cassino, Ceccano, Fiuggi, Potenza, Bisceglie, and Pescara in Italy, Universidad de Veracruz in Mexico, Eastfield College in Dallas, and the Miami Classical Guitar Society Series. 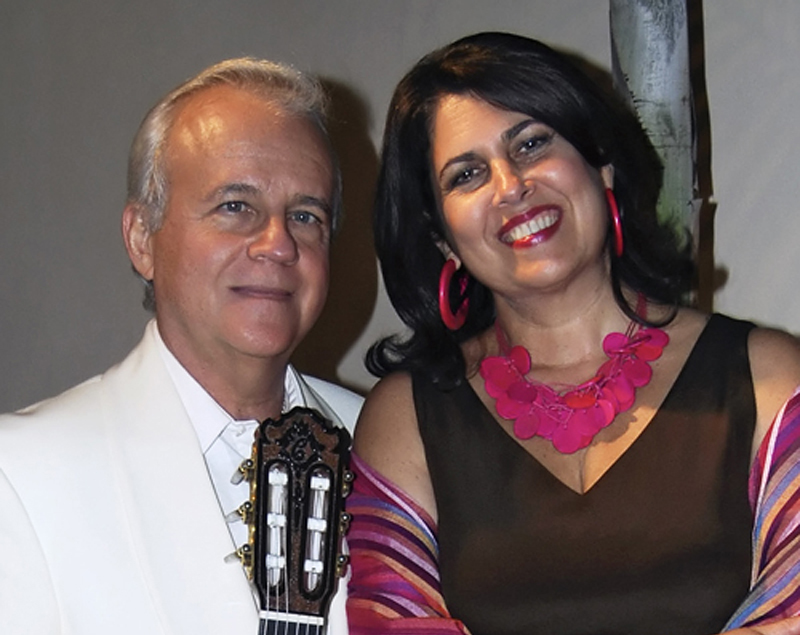 In recent years, the Molina Duo were guest artists to the Alirio Diaz International Festival in Carora, Venezuela, Serate Musicale in Sardinia, and the Festival Dupre Citta in Rome, Italy. This concert is sponsored in part by the Miami Classical Guitar Society, the Broad Foundation, and the Willensky Fund.